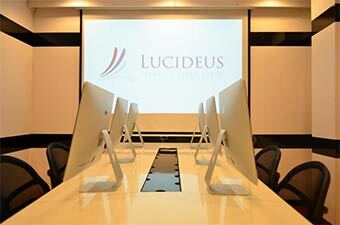 Delhi-based cybersecurity startup Lucideus Tech Pvt. Ltd has raised an undisclosed amount of angel funding from Motilal Oswal Private Equity Advisors director Amit Choudhary. The startup said in a statement it will use the capital to expand operations and hire talent. The company was founded in 2012 by Saket Modi, Vidit Baxi and Rahul Tyagi. It provides IT risk assessment and digital security services. It counts ICICI Bank, Kotak Mahindra Bank, Tata Sky, Microsoft and SpiceJet, IndiGo, among others, as clients. Two months ago, the startup received an undisclosed amount of investment from Snapdeal ex-CPO Anand Chandrasekaran and Flipkart CFO Sanjay Baweja. In the same segment, TAC Security Solutions, which provides cybersecurity solutions to corporate clients, secured an undisclosed amount of funding in a pre-Series A round from stock market investor Vijay Kedia last week. Singapore-based mobile security firm Appknox is another startup which raised funds. It secured S$875,000 ($650,000 or Rs 4.35 crore) in pre-Series A funding led by seed-stage venture capital firm SeedPlus two weeks ago. The same week, software services firm Wipro made its second deal in cybersecurity when it invested $1.5 million (Rs 10 crore) in Israeli cybersecurity startup Intsights Cyber Intelligence Ltd. In April, the IT major had invested an undisclosed amount in US-based cyber security firm Vectra Networks Inc.